So, I had a pretty busy yesterday and didn't get a chance to really follow the big news from Samsung, but I've seen the highlights out there, and ... well, what do you think? The rumours pretty much all came true, so there really wasn't anything that came out that wasn't unexpected. Even that keyboard I thought was a hoax came true. What's most interesting is knowing that the devices will be available in just a week. Even the US looks like they'll have to wait. 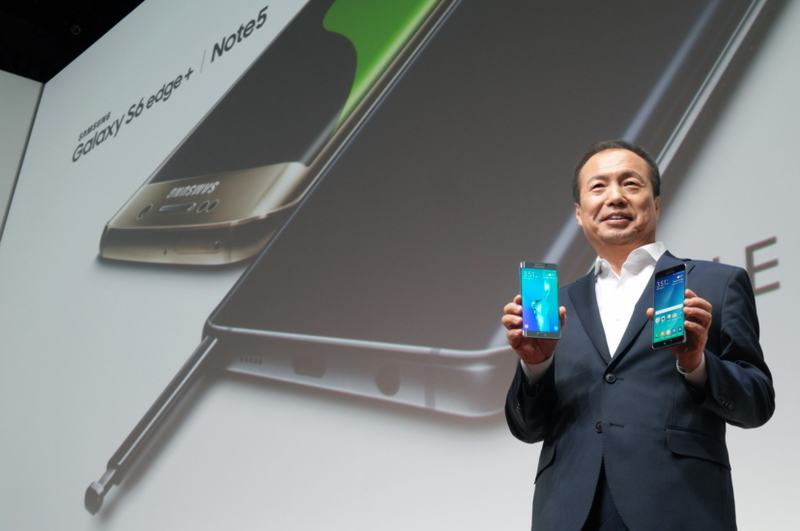 Unfortunately for the UK the Note 5 isn't going to that market, only the S6 edge+. Which just seems backwards. Now that has me perked... rapid wireless charging. I could definitely make use of that. Makes up for the slightly smaller battery than I expected (at that size, I would have assumed slightly more 'oomph'). Cool to see the S-Pen with an 'auto eject' system, which is eerily reminiscent of my Palm T3 where you can push the pen as it's flush with the casing and then it'll pop out ever so much where you can then pull on it to come out. I have heard from our Samsung representative that they will be available for purchase from major carriers and the Samsung stores on August 21st. I haven't heard prices as of yet tho'. We'll let you know as soon as possible, and when/if we get review devices. Let us know your thoughts on these 2 new devices.